I’m going to start posting our dinners at least twice a week, along with the recipes. 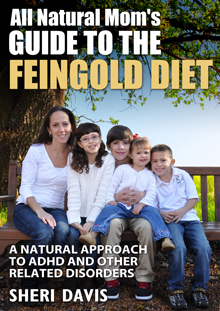 Most of these recipes can be found in my GFCF or Feingold Cookbooks on the far left. I’ll try to get as many pictures up as I can as well. So long as I can get the picture taken before my kids get to it! I turned around to get a fork and knife to cut up the chicken to find my little one with her face in the plate already. You can now sign up to receive e-mails notifications every time I have a new post. The link to sign up is on the top left of my blog. 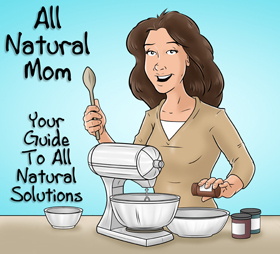 I also have a new Facebook account set up just for All Natural Mom. I’ll post what we’re having for dinner on there as well. I may set up a Twitter account too if that’s something that’s easier for people. For the rice, I have used Uncle Ben’s 5-Minute Rice, but I’ve been trying to get away from that. Rice that is not organic has arsenic in it. So, I’ve switched to Lundberg’s Organic Long Grain White Rice. Yes, brown rice is better, but my kids have a harder time digesting it so we have to use white. 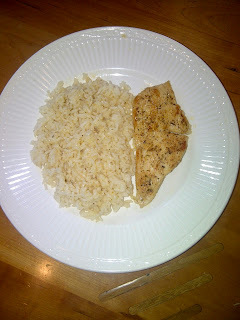 It took me a while to adjust to cooking with organic rice and not the 5-minute rice. The directions say to use 1 to 1 1/2 cups of water. I figured out I need to use 2 cups at least, and I use chicken broth instead of water, just for more nutrients and a better taste, but water is fine too. I also figured out I need to lower the flame to as low as possible, on my “Simmer” one. Otherwise, it cooks too fast and burns. I also check on it after about 15 minutes (it says to cook for 20) and if it looks like the liquid is almost gone, I add a little more water or chicken broth. I use Pacific Organic Chicken Broth or homemade that I keep on hand frozen. 1/4 tsp on each side, seems to work. In a skillet, heat butter and oil over medium high heat. to the pan to thoroughly coat with mixture and serve. seasonings in a jar for when I make this. Posted in Miscellaneous and tagged What's for Dinner?. 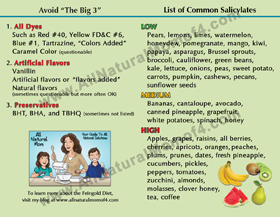 Hi Sheri, I found your blog when I did some googling for low oxalate diet info. 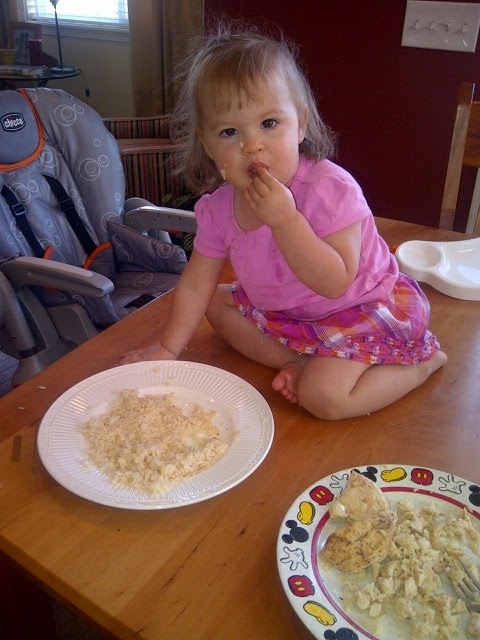 I don't eat rice anymore, but my kiddo has it for breakfast most every day. 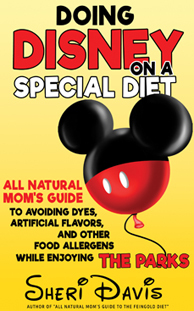 I use the Lundberg Organic White Basmati Rice. Several years ago I picked up a helpful tip on Amy Karol's blog ("Angry Chicken") re: cooking rice and other grains, which is to cook them like you do pasta. Fill your pot with water, bring to a boil, add your rice or other grains, and cook at a gentle boil until just shy of your preferred level of doneness — for the Lundberg white basmati rice, I boil it for 9 minutes. Drain. Return to pot, cover with lid, and let sit off the heat. The steam will finish cooking the rice as the steam evaporates and the rice will get dry and fluffy. (The rice will dry faster if you cook it in something more wide-bottomed than if cooked in something taller and narrower-bottomed.) I let it sit covered for a minimum of 6 minutes, but usually a bit longer if I cook a double batch in my narrow-bottomed pot. I like cooking rice this way because you don't have to be exact with the liquid or with the cooking time. You can cook it less and then let it sit covered longer and the steam will continue to cook it. Or you can cook it until done, drain it, and not return it to the pot. Lots of wiggle room!! Thanks Glenda! I will have to try that!